Unlike the CST and TACFIT Clubbell, the Mini-Clubbell was designed for full body grip from knob to muzzle with an insulated neoprene coating. 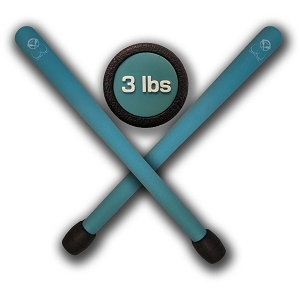 This thin, economical, entry level design at 5 pounds and 3 pounds allows you to recover lost ranges of strength safely and incrementally. It is also being used in both rehabilitative and post-rehabilitative training programs, as well as light loading programs such as Clubbell Yoga.